I brought my family to Sun Fatt Kee Restaurant in Seapark, Petaling Jaya last weekend. While my wife and kids settled for the rice and porridge, I tried out the famed Sisters' Curry Mee(RM5 per Bowl). The curry mee soup has really nice spices aroma, not too strong, just right. Somehow, they managed to get all the right combination of ingredients to create this "Masterpiece Curry Mee"! 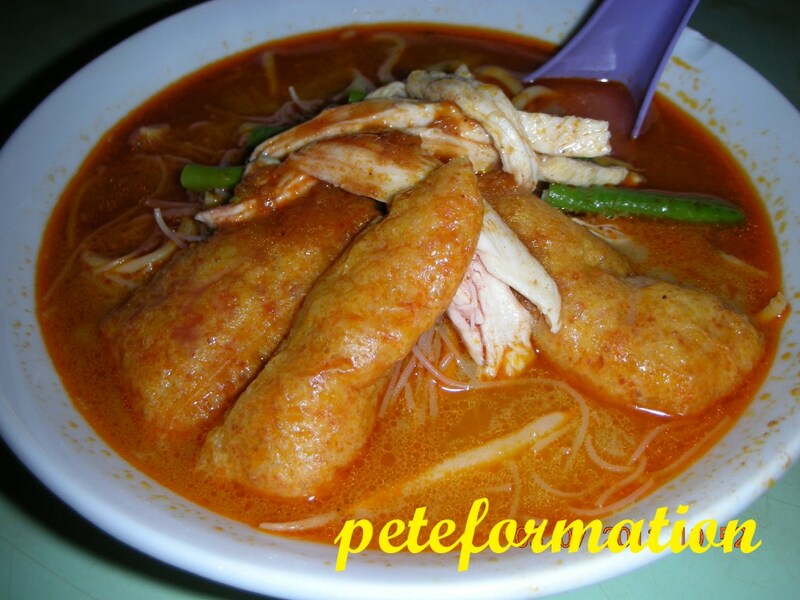 LOL!This is one of the best curry mee I ever tasted. Thumbs up! (Note, I don't eat See Ham(cockle), so I requested for a curry mee without See ham). The photo below show the dishes that my family had with rice and porridge. 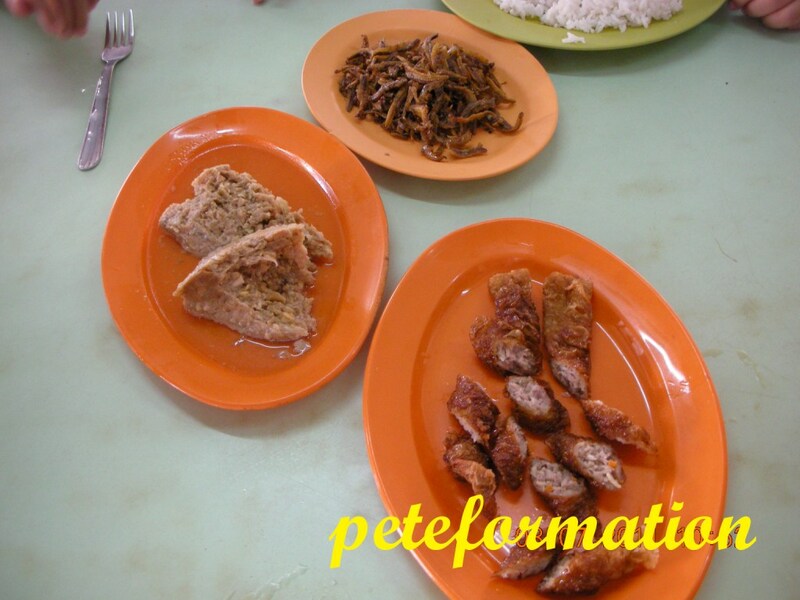 We had Fried Anchovies, lobak (5 spices meat rolls) and Steamed Minced Meat. These are the three main dishes that my kids love very much. I have been eating the Teow Chew porridge from this stall with friendly owners for almost 16 year already! The food quality is still as good as ever. These 3 dishes with 1 rice and 2 bowls of porridge cost RM11. A very reasonable place to have very tasty Teow Chew porridge. woo..that curry mee looks yummy! love your photos, gorgeous food! The curry mee looks really good... The Teochew porridge, so little the things...maybe you so skinny, don't eat so much? Oops...where's this place? Hehehehehehe!!!!! Mmmm, from the photo, the curry mee looks good! Wow, delicious looking famed Sisters' Curry Mee and the teow cheow porridge is my FIL's fave, gonna bring him there one fine day, thx! I am actually not really hungry now you know, but looking at your curry mee, I feel hungry already. But I like lobak and ikan bilis. Time for lunch! Your curry look very good and HOT! the curry mee looks so good !!!! This bowl of curry mee is very yummy, I am drooling too..